HoustonDetective.com is the home of Houston Texas Private Investigations. Owner and operator Marcus Bloom is a native Texan and has been a licensed Houston private investigator continuously since 1987. In 2019 he founded Houston Detective Agency. The company is a full-service investigations company. As a Houston investigator with over 30 years of experience, Marcus has conducted thousands of investigations for Houston area corporate, insurance, legal and private sector clients. Whether you are an insurer, a small business, a large corporation, or a private individual, we offer a broad range of investigative services that can empower you to deal with a crisis efficiently and effectively. Marcus Bloom & Associates will always handle your case professionally, ethically and tenaciously. All our private investigators are experienced, licensed and insured. We understand our client’s need for privacy, and every discussion you have with us is held in strict confidence. We specialize in surveillance, background investigations, due diligence, and defense investigations on high dollar indemnity insurance claims. We are committed to providing a high standard of excellence to every one of our clients, no matter how large or small their investigation. 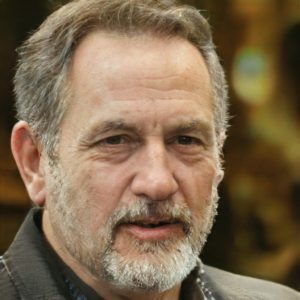 In over 30 years as a Houston investigator Marcus Bloom has developed many unique sources and established valuable contacts. The company subscribes to over a dozen commercial databases to better serve our client’s investigative needs. 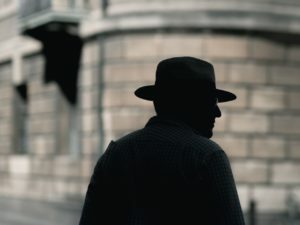 Marcus Bloom’s extensive skills as a mobile surveillance expert, public records analyst, and computer forensics expert, make him uniquely well suited to meet the demanding needs of a modern clientele. Marcus deals with all his clients in a professional and compassionate, yet straightforward manner. Marcus Bloom is directly involved in every single investigation handled by his firm. This site should answer many of your questions about our company and our investigative services. Thank you for your consideration, and please do not hesitate to call if you have any questions. If you need an honest, competent Houston private investigator to call us to discuss your specific needs. All consultations are free and completely confidential. Our Houston Detectives specialize in Matrimonial & Relationship Investigations. If you’re involved in a Houston Divorce, have your attorney call one of our Case Managers who can advise you on the best and most economical way to find out if your partner is cheating on you. When you call, provide us with all the information that you can. For example, names, addresses, vehicles. We will then ask you some questions and tell you how it all works. It’s all very easy to comprehend and there’s no pressure. To assist individuals and businesses concerns with the monitoring of persons or property to obtain photographic and video documentation of the location or activities of the target of the surveillance. Many of our clients request this service about infidelity matters, employee integrity matters, and loss prevention situations. We utilize experience licensed investigators, only those having extensive experience in Private Investigation or coming from a law enforcement background. Your case will never be assigned to a trainee or investigator inexperience in surveillance work. * We offer both flat rate and hourly surveillance packages, depending upon the duration of the surveillance, where the case originates and the overall scope of the case. At times surveillance can be conducted by one investigator, other times two or more investigators may be needed. Surveillance packages are sold in time blocks. Surveillance time blocks must be paid for in advance, before our beginning any surveillance. To assist attorneys with criminal defense or civil litigation, including locating and interviewing witnesses, obtaining oral and written witness statements, visiting the scene of an incident to conduct a canvass for witnesses, obtaining relevant photographs and measurements to document the scene, review police investigations, as well as various public record searches. When needed, we can provide courtroom testimony as to our findings. Attorneys click here. Does your witness speak a foreign language? If your witness does not speak English fluently, we have interpreters available in most languages to accompany our investigators to interviews. To investigate the disappearance of persons in an attempt to determine their whereabouts or to ascertain if foul play could have been involved in their disappearance. * We charge an initial consultation fee on all missing person cases. This fee includes a visit with the client to review all known information regarding the missing person and to formulate a direction for the investigation. 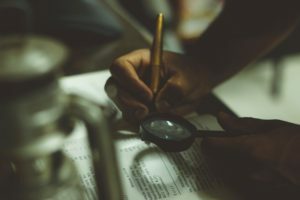 Background Checks to determine if a person or business is legitimate, their standing and if there exists a history of criminal behavior, fraud, multiple identities, and other nefarious activities in their background. Conducted in real time, through the Unified Court System Of Texas. This search includes convictions and opens pending cases in most Texas jurisdictions concerning misdemeanor or felony conviction. The returned results include the court having jurisdiction over the matter, the case docket or indictment number, the criminal charges associated with the docket or indictment, case status (pending or disposed)and final disposition of the case. Open pending cases will also include pending violations, which are known as non-criminal infractions. A realtime search conducted though the Federal Court System to locate an individual’s criminal conviction or pending criminal cases at a federal level. These cases are prosecuted by The United States Attorney’s Office resulting from arrests effected by the F.B.I., the D.E.A., and other federal law enforcement agencies. This search can be conducted on a national level or by court district. Conducted in real-time to determine if an individual has a criminal record in a state outside of Texas. Each state system has its criteria for obtaining these records and for the type of information returned. Once a criminal conviction is located through the above searches, upon request we can travel to the court having jurisdiction to review the court hard file and obtain a copy of the Accusatory Instrument (a pleading or other paper which forms the procedural basis for the original criminal charges) and Certifed Court Disposition in the case. The typical hard file will contain the arresting agency, the circumstances, and incident leading to the defendant’s arrest, the original charges, name of the complainant (s) (nonarticle 50 cases), and other pertinent data relating to the conviction.